The KettleKart™ is a perfect match for the BrewEasy™ or any other application where a solid, versatile mobile cart is desired. The KettleKart™ includes retaining brackets that accommodate most pots and allow the TopTier™ Burner to be solidly affixed to the cart. Heavy Duty 16 gauge brushed stainless steel. Includes heavy duty casters for easy moving. Multiple carts can be bolted together to create a modular system for maximum versatility! Ideal to go with the Hellfire burner. I'm curious how this cart (or any cart for that matter) would work with an 10G electric brew easy system (with no TopTier burner) given the valve for the boil kettle won't hang over the edge of the cart. It is necessary to place the kettle on something to raise it higher? 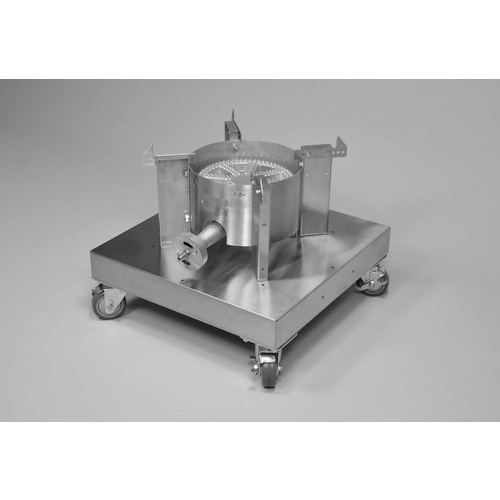 Or does it require the valve to be rotated 1/4 turn so it is in a horizontal position? Thanks. BEST ANSWER: Hello Alex - Yes, it seems the valves will need to be rotated 1/4 turn to exit horizontally. Great for making a Hellfire mobile. This is an expensive cart, but it's Blichmann, so what do you expect? 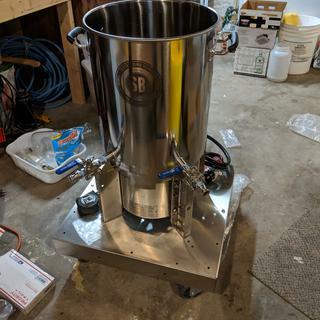 I built several brewcarts by hand and decided I wanted an additional cart for heating sparge water. Didn't feel like building another and glad I didn't. I use this with a Hellfire burner. 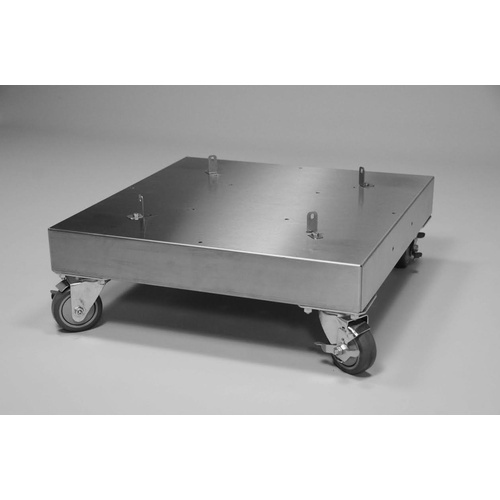 Casters glide smoothly over concrete and small bumps, and stainless steel looks good and will hold up well. Very solid and convenient if you're looking to roll a burner around. I have been very happy with my other Blichmann Engineering purchases, and this cart is no different. You have to feel this cart to believe how solid and sturdy it is. The casters are top notch and easily locked. It looks great holding up my new HellFire burner! I love this cart. Like all Blichmann product you can easily see the quality and thought put into this item, even for a simple cart. No more carting buckets of water to my 30 gallon kettle, I just move the cart to the fill it up and put it back where I plan to brew. The burner bolted on easily and everything is very stable while full.